Alongside dedicated Newman College teaching and learning spaces, we have our "Discovery Room", which houses display aquariums, an extensive shell collection, a touch tank and a number of hands on interactive learning stations. Staff at the Port Macquarie Marine Discovery Centre have worked to establish environments in aquariums showcasing both freshwater and saltwater life of the Hastings region. 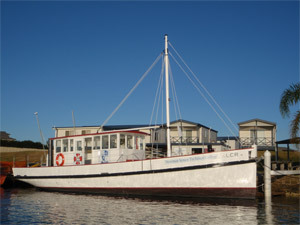 Visitors can discover freshwater tortoise and bass typically found in the Hastings and Macleay River catchments. The inquisitive Wide-band Clownfish and anemones or our near shore rocky reefs are also on display. The Centre also has a selection of tropical marine fish of the Great Barrier Reef including seahorses, moray eels, lionfish, sea stars and coral. 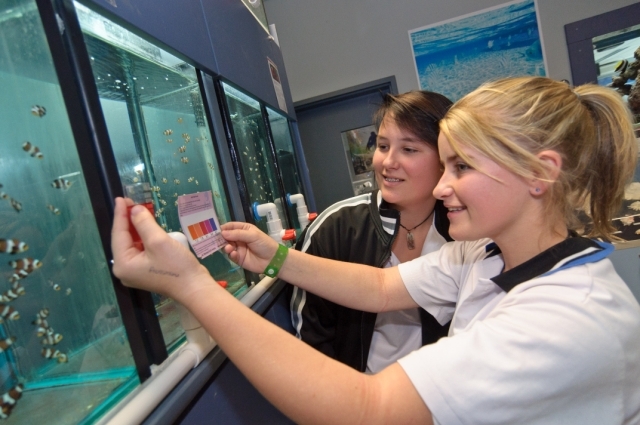 Adjacent to the Discovery Room is the Newman College licenced ornamental fish hatchery. In the hatchery visitors come face to face with over one thousand clownfish from newly hatched to mature brood stock housed in more than 50 aquariums and grow out tanks.